experience the Kumbha Mela in Haridwar. The trip was very eventful and media of every type was obtained. as well as some videos produced using footage from this trip set to music. 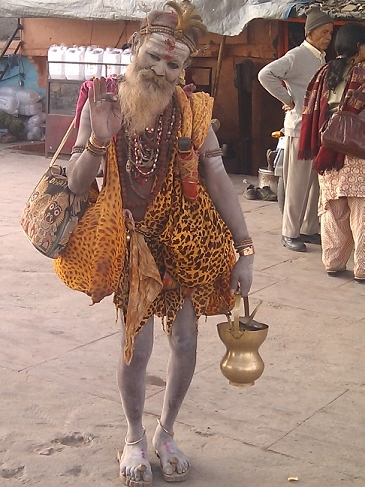 Thanks for your interest, and we hope you enjoy this record of the 2010 Kumbha Mela in Haridwar India. "FRIENDS IN INDIA 2010" PHOTO ALBUM. Visit the Photo Album "Friends in India 2010" by clicking this link. "KUMBHA MELA SADHUS 2010" PHOTO ALBUM. 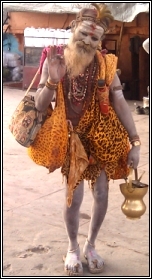 Visit the Photo Album "Kumbha Mela Sadhus 2010" by clicking this link. "DAVID BRUNN'S GHOST PHOTOS 2010" PHOTO ALBUM. Visit the Photo Album "David Brunn's Ghost Photos 2010" by clicking this link. 15 March 2010 (Mon) - Somvati Amavasya - Dvitya Shahi snan - Second Royal Bath. 14 April 2010 (Wed) - Baisakhi - Pramukh Shahi Sanan.